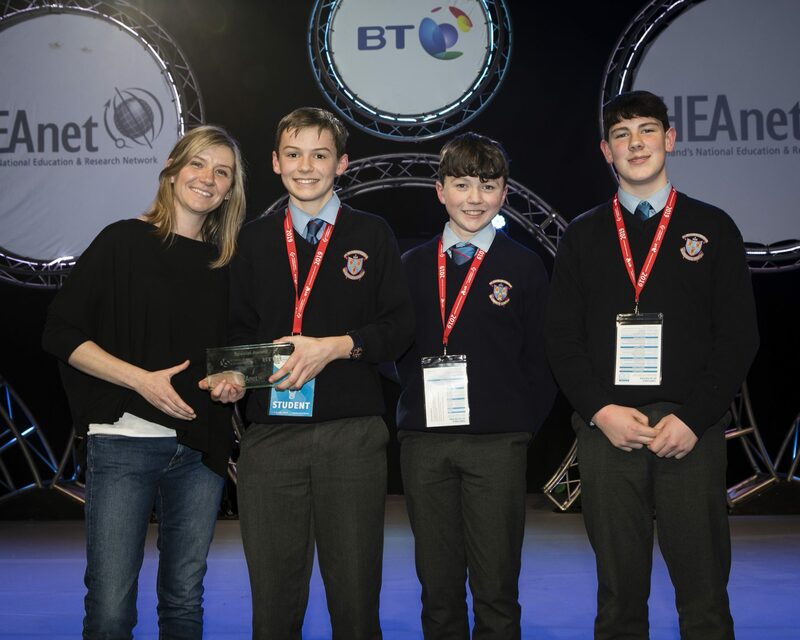 Kerrie Power, CEO presenting HEAnet’s BTYSTE Special Award to Jake Casserly, Matthew Clinton and Cian Perdissat – St Patrick’s Classical School, Navan, Co Meath for their Code-Ed project in the Technology Junior Group Category. HEAnet are proud to support BTYSTE which continues to showcase over 2000 STEM projects, delivered by imaginative and gifted students every year. HEAnet’s BTYSTE Special Award goes to the project that shows the most practical and innovative use of network technology in performing background research for the project and/or collaborating with other team members, teachers etc.